Zipline, a Silicon Valley drone delivery startup that has launched an initial blood delivery to Rwandan clinics in October 2016, is launching expanded operations into neighboring Tanzania. The move to the much bigger Tanzania is a bold action and an ambitious expansion by a company that started operations only a few months ago. 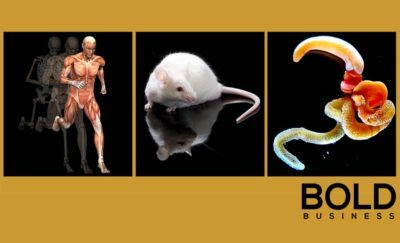 The Tanzanian hospitals and health centers will still rely on its traditional supplies, and Zipline will come in only as a last line of defense, delivering the goods to complement the existing supply chain. The Tanzanian operations aim to cover 364,900 square miles of territory, which is about 35 times bigger than the territory of Rwanda. Zipline, regarded as the largest drone delivery service in the world, will cover more than a thousand health facilities in Tanzania, including some remote and hard-to-reach areas. 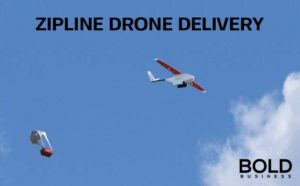 The Tanzanian drone delivery operation, a partnership between the government of Tanzania and Zipline, will involve the delivery of various medical products from four distribution sites in the three major areas of the country. The Tanzanian operation will diversify Zipline’s product line, which used to exclusively deliver blood products in Rwanda. The Tanzanian service that is slated to start in the early part of next year will include the delivery of blood, HIV and malaria medications, emergency vaccines, and emergency medical supplies. Deliveries shall be accomplished through the use of an all-new fleet of drones that could carry up to two kilograms (about 4.4 pounds) of cargo each, traveling 160 kilometers (approximately 100 miles) round-trip. While the use of drones for delivery service is nothing new, there is so much activity now in the use of drones for e-commerce deliveries. Amazon, the biggest marketplace in North America, conducted its first commercial product delivery, using a drone to a farmhouse in a rural part of England. The 7-Eleven convenience store chain has already delivered pizza and other products to their customers in Reno, Nevada. Even UPS has delivered a package using a drone launched from the top of its recognizable brown truck. Experimental deliveries of medicine have also been made in Appalachia. Zipline’s venture into medical products delivery uses fixed-winged drones that have longer range and are sturdier in bad weather than the more popular multicopter models used by other companies in product deliveries. Started as a robotic company, Zipline decided to seek a product that will have a social impact in the developing world. They decided to take on the duty of providing access to essential medical products which are hard to deliver due to terrain and gaps in infrastructure. Zipline aims to improve the people’s access to the medical supplies by flying over impassable mountains and damaged roads, delivering supplies directly to clinics in the remote areas. 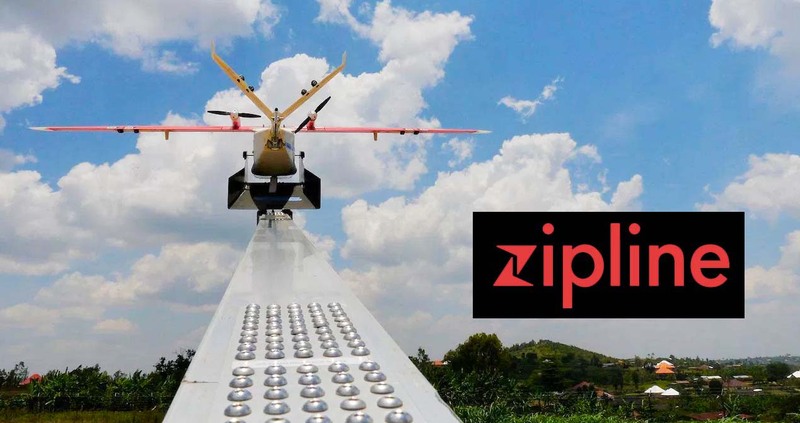 While Zipline was exploring the possibility of starting its operations in Africa, the company’s engineers have been developing at the company’s headquarters in Half Moon Bay, California. A craft they invented, powered by twin electric motors, is capable of carrying 1.5 kg (about 3.3 lbs) of payload and can fly in nearly any type of weather condition. As the technology was developed, the tiny landlocked country of Rwanda in East Africa emerged as the ideal spot for the initial launching of the service. The country’s hospitals and health centers can be accessed only through a system of unpaved roads. The advantage of Rwanda is its compact territory, with the 12 million people residing in an area about the size of Maryland. This would allow the drones to reach half of the territory from only one launch site. The government of Rwanda accepted the idea, altering the country’s civil aviation regulations to accommodate the operation of the drones. A distribution center was built near the town of Muhanga, on a hilltop site. Zipline will have a different approach in its Tanzanian operations, as it will not be the first line of defense on medical supply delivery. The Tanzanian hospitals and health centers will still rely on its traditional supplies, and Zipline will come in only as a last line of defense, delivering the goods to complement the existing supply chain. The Zipline drones will particularly respond to cases of stock-outs, a common problem in the developing country where there is constant funding shortage or poor demand forecasting. Zipline’s operations in Tanzania will be under close scrutiny by teams of researchers from several countries that will evaluate the impact of the services. The hope is that if Zipline’s service will work, it might just be the bold solution to the global public health problem of stock-outs that has plagued the developing world for decades.